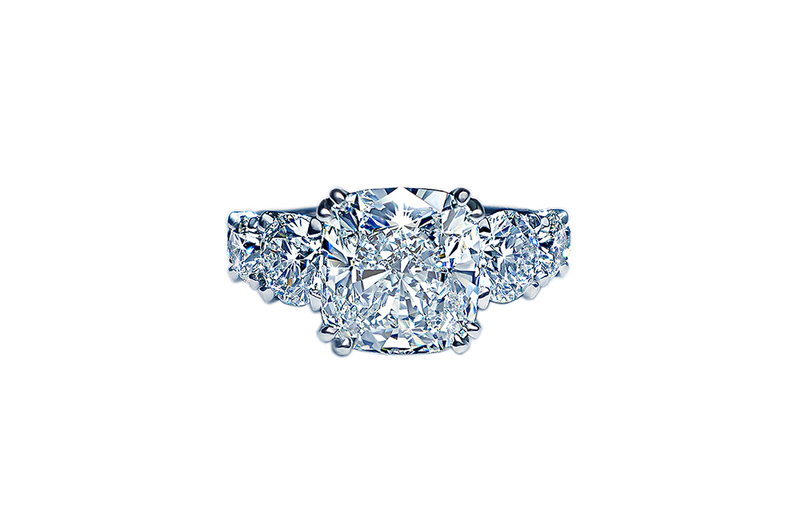 A Stunning Cushion cut diamond is framed with two round diamonds on each side. The double claw prongs delicately embrace the setting. This ring will sit flush alongside a wedding band.